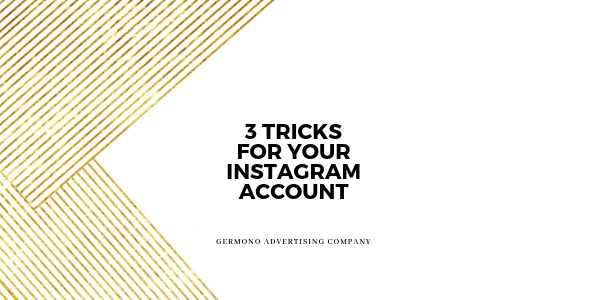 Below are 3 quick and easy tricks to use on your Instagram page. From novice to advanced, the following tips add more creativity, solutions and visibility to your Instagram page. I just learned about one of the icons and my mind was honestly blown! It’s simple. Download the Repost for Instagram app, click those three little dots that will allow you to copy the link of the image or video you want to re-post, open the Repost app and post from there. Be sure to use the verbiage from the original post below your verbiage. Re-posting is a great way to add more content and visuals to your page while giving all the credit to the original user. It can also be used for cross-promotional marketing as well as giving shout outs to clients and customers. Have you ever noticed those three little icons on the bottom of each post when you go to add an image or video? The first is in the lower left hand corner, it looks like two arrows and it allows you to automatically zoom out to fit the screen. Most videos will be zoomed in when you load them to your Instagram page so this feature allows you to zoom out. The second image looks like the infinity symbol but it’s really the Boomerang feature. This is another great tool to incorporate into your weekly or bi-weekly Instagram marketing campaign. Boomerang videos are fun, have no sound and capture your audiences attention. We basically love this feature here at Germono Advertising Company and use it often! The last icon you will see is on the lower right hand of the screen, in the shape of a square. This will allow you to add multiple images to create an album. When it comes to business accounts this is a great tool to use when you are out at an event because you can upload multiple pictures from the day. It is also a great way to show before and after photos or try using it to show the progression of a project you are working on. This one is the simplest of the three and is often times the most overlooked. If you’re posting from your office, tag it! Meeting with a client? Tag their location to your post. At a networking event? Don’t forget to tag the hotel, restaurant, convention center, etc. People use location tags to search for information so this is yet another way for people to see you.